Recently, a friend gave me a few packages of fresh herring. Herring were running in San Francisco Bay and he had caught and frozen about 150 pounds. He urged me to give away as much herring as I could and to come back for more if I was successful. Seemed like a good deal. Just a few days earlier I had paid $5 a pound for herring at a fish market. I also found out that herring wholesaled for $0.50 a pound. That's a ten fold markup from wholesale to retail. So here was a heck of a good deal, free herring that you would have to pay $5 a pound for at the store. I got on the phone and called some Swedish friends who I was sure would want some herring because Swedes live by the sea and are fond of eating fish, or so I thought. Turned out my friends were not that kind of Swedes. They told me that they didn't care for cleaning fish. But they would ask some other friends of theirs if they wanted some of the herring. A little later they called back and said that they would take ten herring. I told them that they were all frozen together in a package and the smallest quantity I could give them was 20. Reluctantly they agreed to take one package. So much for giving away food. I suspect the problem with food is that we have gotten used to getting it in meal sized portions, all prepared and wrapped in plastic along with instructions for how to cook it. 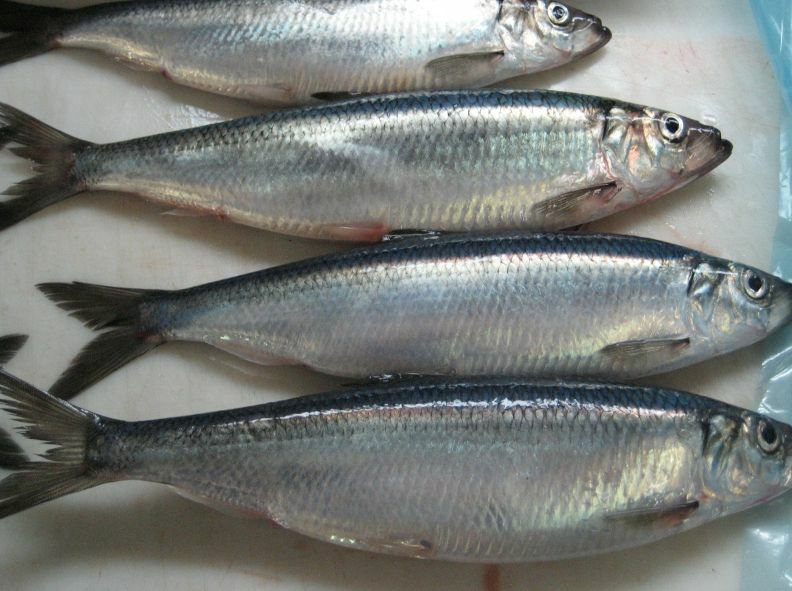 The average consumer with a job who can afford to buy food seems to work until very late in the day and when he or she comes home is in no mood to deal with something that needs to be cleaned, possibly filleted and then cooked, especially if they have no clue on how to clean, fillet and cook something as exotic as a herring. Much better to pull something out of the freezer and pop it in the microwave for 2 minutes. Like breaded fish sticks with no bones in them or pictures of dead dolphins on the package or anything unpleasant. Another problem with food, particularly at the production end is that it doesn't come off some just in time supply chain. It tends to for the most part be the result of some natural process that delivers a particular food in great quantities more or less all at once. Most of the year there are no herring or cherries or sweet corn or peaches and then for a short time, there are more than you can eat unless you do something unpleasant and time-consuming like canning or otherwise preparing and freezing or salting and smoking your own food. And who that spends ten to twelve hours in a cubicle or behind the counter of a convenience store wants to do that?